Helicopter charter to or from central London by using Battersea Heliport in the West of London gives you easy access to Knightsbridge, Chelsea Mayfair and many more central London locations. Situated on the south side of the Thames this is the most popular and busiest capital heliport in Europe for private helicopter charter to and from London. We also have access to the Docklands Heliport in the East of London giving good access to The City of London, London Docklands, The O2 and London City airport. No Helicopters are kept in position at these helipads. When you charter a Helicopter from Charter-A Ltd we have our Helicopter fleet positioned from 4 minutes from the London Heliport and East London / Docklands Helipad. 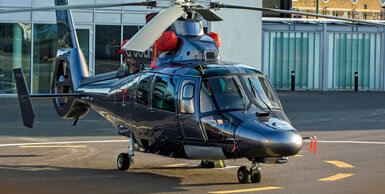 The main stay of our helicopter charter fleet are the Agusta 109 Grand and the Agusta Power helicopter. These aircraft are twin engines and weather equipped, with its six passenger configuration they are great for helicopter flights from or to The London Heliport. Also available is the Airbus AS355 twin engine Helicopter for those who are budget conscious and the Airbus EC155 for those that wish to carry 8 passengers. The London Heliport is located at Battersea and very often know as Battersea Heliport, this landing pad is with out doubt the busiest for our helicopter charter operations and offers the best access to London with less restrictions than those at the Docklands Heliport located by the 02 and convenient for Docklands and London City Airport. 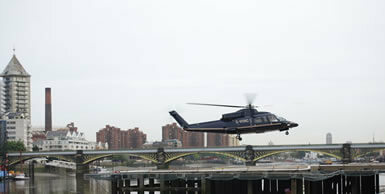 The London Heliport is the central hub for clients travelling to and from London by helicopter. 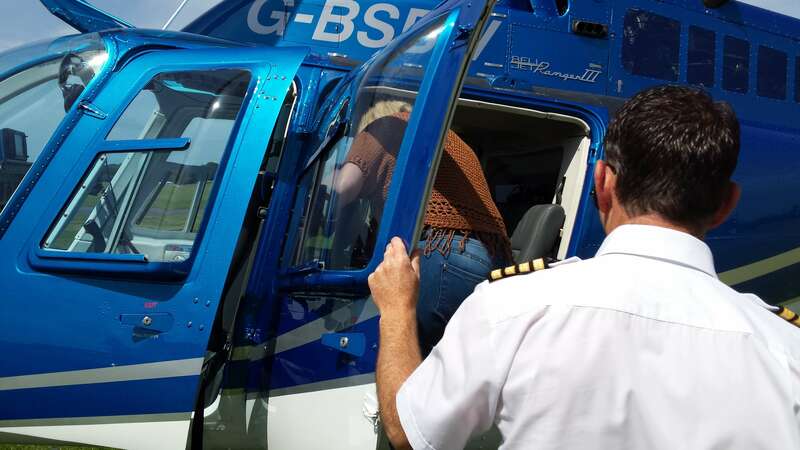 Popular reasons for helicopter charter travel is for clients attending business meetings, for dining in the capital, visiting London to go to the West End for a show or perhaps travelling out of London so require an helicopter airport transfer or wanting to attend that sporting or musical event! Whatever the reason speak to our team for more advice and assistance.